In this video, I share with you my brand new organized recipe binder! Click to see everything I did, what products I used, and lessons learned from the mistakes I made while setting it up (you don’t have to make the same mistake I made 🙂 Ever since I organized this binder, recipes have been simple to find and easy to store. In this video I also explain how I finally got rid of the recipe books I had, but was never using. Hi everyone. So in this video, I am going to share with you guys my brand new recipe binder that I just set up inside my kitchen that I’m really happy the way it turned out. So, I’m going to share with you guys what I did, what products I used and some lessons learned like mistakes that I made that you can avoid making if you do the same binder, if you set up the same binder inside of your kitchen for your recipes. So before I show you the binder, I just want to say that before I had the binder I was using, I had like a recipe organizer. It was functional but it wasn’t like super organized like the way I like things. But it was working but at the same time I have maybe like four or five recipe books that I was never using. Like the recipe books had flags in them, these little post-it flags of recipes that I’ve tried, that I liked, that I was going back and using but it was just like a few recipes per book. And each book was like this thick so it was just kind taking up a lot of space. And every time I want to try a brand new recipe, I was never going to my recipe books. I was always going online to look at new recipes and look at the reviews and ratings and picking based on what had high ratings and high reviews because picking a recipe out of a book, there’s no reviews, there’s maybe a review on the whole book but not each individual recipe, at least like the books that I have. So yeah, so I feel like I was never really using the books. So now that I’ve set those aside, I have one binder and that’s where I have all my recipes. So let me grab the recipe binder and show you guys exactly what I’ve done. This is my homemade recipe binder. As you can see, it’s the Staples brand binder from Staples. I always use the same binders for every binder project I do because I like to keep it consistent and these are just my favorite ones. So I picked yellow because it’s for the kitchen, it’s for recipes. And every time I think of the kitchen, I always think of the color yellow so I don’t know, I just thought it was perfect to get a yellow one. So I called it Favorite Recipes because I’m only keeping my favorite recipes that I actually used. Nothing else will stay inside this binder. So if I make a recipe and I don’t like it, I’m not going to save the recipe. These are just ones that are tried, tested and I like them. So in the very front cover, I put scrapbook paper to dress it up a little bit and I used frosting and sprinkles scrapbook paper. I just thought it was cute and the yellow sprinkles matched the yellow binder. Inside the binder, I have my favorite Avery Color-Coded Dividers that I’ve shown in other videos. I just thought they were perfect for the recipe binder because they have ten tabs and I came up with ten categories so it just worked out really nicely. So appetizers, soups/salads, pastas, side dishes, main dish, meat/chicken, seafood, marinades, dessert/breads, and drinks. Now, I love these dividers because they’re really sturdy. I like how it has the table of contents in the very front so you can create labels. Now of course, you can just write the labels on here but I feel like it’s just neater and cleaner with the label maker so I just went ahead and labeled each of the sections. So let me go ahead and show you guys what’s behind one of these sections. I’m going to show you the dessert section since I love desserts. I much prefer to bake than cook like any day. OK. So the first two recipes here, I’m going to take this out, are two 4 x 6 index cards like recipe cards. So what I did here was I took all of the index cards and I put them inside these sheet protectors made to hold index cards. So these are from Office Depot. I think they came in 3 x 5. I didn’t buy them because I don’t really have any 3 x 5 so I just have 4 x 6. So this is nice. It holds two cards in one. So they are from Office Depot. The second thing I want to show you are printed recipes from the internet. So every time I print a recipe or every time I’m going to make something, I’ll print the recipe on a – just 8 ½ x 11 size and then I’ll make it and then if I like the recipe then I’ll put it inside one of these sheet protectors and then put it inside the binder. If I don’t like the recipe, I’m not going to keep it. So this is my favorite banana bread recipe. It is the best banana bread ever. I always make this just like whenever I’m making banana bread. It’s just so good. You can see how good it is because it’s so dirty. You can see that I’m always using this recipe. But now that it’s inside the sheet protector, it’s not going to get dirty. So, before it was not in sheet protectors. But something cool about the sheet protectors is that it closes at the very top. So let me show you guys. It’s not just like a traditional sheet protector that is open at the top. It has this extra flap here that close on top of the opening so the sheet doesn’t come out. And this sheet protector is actually studier than just your traditional sheet protectors. This is a traditional sheet protector. It’s kind of flimsy. It’s open at the very top so the page can easily flip out. This one on the other hand is just sturdy and nicer. They’re from Office Depot and they are just really nice. So I’m happy with that. OK. So that’s the 8 ½ x 11. These are all 8 ½ x 11s also. Now, if you used the normal Avery Color-Coded ones then you’ll see that the sheet protectors – do you see how they go beyond the dividers because they’re so big? So once you have a paper in here, it’s just going to cover the divider. So you want to make sure to get the Extra Wide ones. Now, I have never seen the Extra Wide dividers, these one I just showed you guys. I’ve never seen them inside the store. You have to get them online. Amazon has them or you can order them online through Staples. But I’ve never seen them inside the actual Staples store. So that’s just like and FYI, lesson learned. See, before I did this, I went here and I labeled all my dividers and then I put in my sheet protectors and I was like, “Oh man! It doesn’t fit.” I was so upset because I feel like now I just need to cover over these but I can still reuse them. So yeah, so that’s just like a lesson learned if you decide to set up the binder like this. And so in the back of the binder, I just have empty recipe cards or blank recipe cards so in case I need to grab one to write a recipe down, I could just grab these ones. So and actually, I was looking for recipe cards because I ran out of them and I got these ones on Amazon. It’s so hard to find like cute recipe cards. These were the cutest ones I found that have like clear, clean lines to write on. It didn’t have like too much stuff in the way where you can write very much stuff. So I found these ones on Amazon. I’m pretty happy with them. I wish they were a little bit brighter. They’re kind of – well, they’re not dull but I just wish they were brighter. And then in the very back of the binder, I have a gusseted binder pocket that goes inside binders that I showed you guys in my warranty and manual binder. So what I did here was I moved my slow cooker manual from the warranty and manual binder to this binder because I feel like I’m keeping this binder in the kitchen in one of my cabinets and so this is the slow cooker manual that like temperatures in it and cooking times and stuff and sometimes I don’t always remember that stuff so I want to have access to this so I’m keeping it in the kitchen. And then this little booklet here belongs to my food scale. I don’t really use my food scale too often but when I do, this book has all the codes to measure stuff and to see how many calories things have and stuff. So that’s everything I want to share with you guys about my recipe binder. So as I mentioned before, this binder only has recipes that I like, enjoy, taste good. Any recipes that I tried that I don’t like, I’m not going to put it inside this binder since the only stuff that I use are my favorite recipes. And like I mentioned in the very beginning of this video, I had recipe books but I felt like I wasn’t using them like I was just going online and printing recipes from the internet. So I figured, why am I keeping these cookbooks? I’m not even using them so I went ahead and I photocopied the recipes that I did like from those recipe books and then I put them inside sheet protectors inside this binder and then just set aside those recipe books. So that’s how I’m organizing all my recipes inside one binder. Nothing more. Everything is together. It’s easy to flip through, to go through to find exactly what I’m looking for when I’m about to cook. I hope this tip was helpful. If you have another idea of how you organize recipes and you want to share it, leave a comment below or create a video response and show us exactly what you do. I would love to see it and I’m sure everyone else watching would love to see it as well. So that is everything I have for you guys. I will see you soon. Bye! Ready to conquer your clutter? I'll show you how to easily declutter your home of all the distractions holding you back from feeling free! 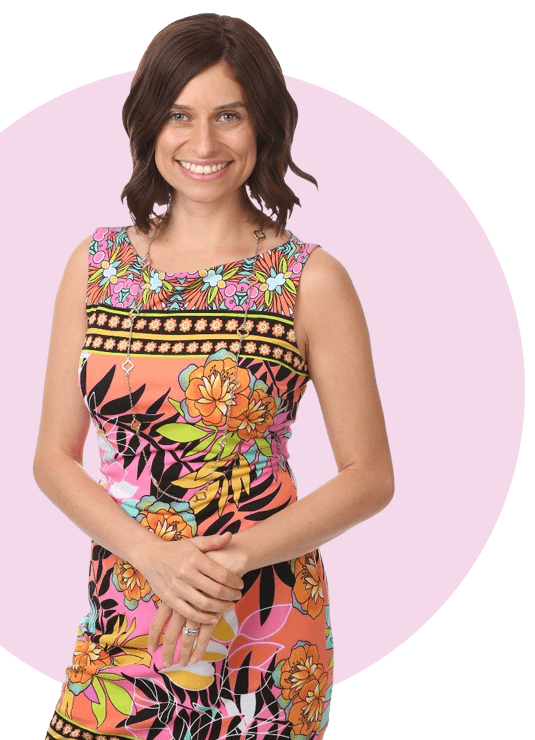 Over the past 10 years, organizing expert & certified life coach, Alejandra Costello has taught thousands of students in 132 countries how to get organized through her video-based training programs. Her YouTube videos have been viewed 90+ million times. Named 1 of the 5 most organized people in America by HGTV and "The Decluttering Queen" by Good Morning America, Alejandra's expertise has been featured in The New York Times, Oprah.com, The Washington Post, The Wall Street Journal, Good Housekeeping, Family Circle, Woman's Day, Parents Magazine, and CBS. You can read more about Alejandra here. 3 Small Things To Do Tonight To Feel More Organized Tomorrow » Get Started!